While a recent decision to curtail the availability of an approved vaccine for dengue fever is a setback against the prevention of the illness, other dengue vaccines currently are in clinical trials, suggests an interesting news report recently published in Science. Science reports dengue fever is spread by a type of mosquito found in 100 nations where it causes 500,000 hospitalizations and 12,500 deaths every year. MedlinePlus.gov's dengue health topic page explains the illness is rare in the U.S. The U.S. Centers for Disease Control and Prevention (the CDC) reports dengue fever (and its carrier mosquitos) are more likely to be found in parts of the southern hemisphere closer to the equator (such as Central America, Central Africa, and some parts of Southeast Asia) compared to other international regions. Science notes the discovery of an effective dengue fever vaccine, or a way to prevent the illness, has proven to be elusive for international physicians, public health officials, and drug companies. Science explains the dengue virus contains four distinct viral variations (or serotypes). While Science notes an infection of three of the serotypes only results in mild fever and confers lifelong immunity to its specific variation, an infection of the second serotype is responsible for more serious illnesses. Science explains the challenge to produce an effective dengue preventive vaccine is to simultaneously provide immunity for all four of its serotypes. 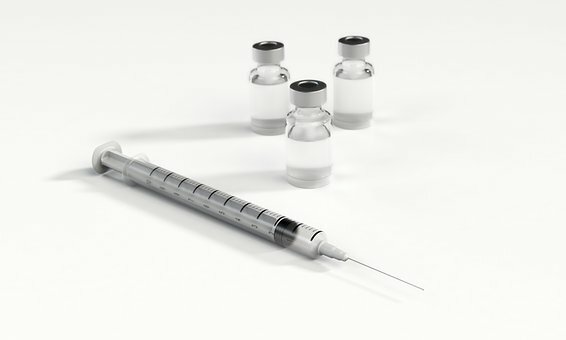 Science reports the recent use of an approved vaccine from Sanofi Pasteur is being restricted voluntarily by the company (for patient safety) because the vaccine's effectiveness seems best suited to persons who experienced a prior infection rather than other populations. More specifically, Science explains in the Philippines (where 830,000 children were vaccinated), the vaccine raised the risk of illness for kids who had never been infected with dengue. Science also notes the Philippines government recently asked Sanofi Pasteur to refund $70 million the nation spent to vaccinate children. Despite the setback, Science explains two other dengue vaccines currently are undergoing clinical trials. In fact, one of the in-trial vaccines is co-developed by the National Institute of Allergy and Infectious Diseases. Science reports a clinical trial of the latter vaccine's effectiveness is currently underway in Brazil. Science adds Sanofi Pasteur also is developing an improved screening tool to better detect the persons who will benefit from their dengue vaccine. Science reports (and we quote): 'it could quickly tell vaccinators who would benefit from the vaccine and who would paradoxically be at greater risk' (end of quote). Overall, the dengue vaccine setback illustrates the 'two steps forward one step back' type of saga that sometimes unfolds in efforts to prevent the world's complicated, enduring infectious diseases. Meanwhile, information about types of dengue fever (from the World Health Organization) is available in the 'start here' section of MedlinePlus.gov's dengue health topic page. The CDC provides information about mosquito bite prevention for travelers in the 'prevention and risk factors' section of MedlinePlus.gov's dengue health topic page. MedlinePlus.gov's dengue health topic page additionally provides links to the latest pertinent journal research articles, which are available in the 'journal articles' section. Links to pertinent clinical trials that may be occuring in your area are available in the 'clinical trials' section. To find MedlinePlus.gov's dengue health topic page, please type 'dengue' ...that's 'd...e...n...g...u...e' in the search box on MedlinePlus.gov's home page, then, click on 'dengue (National Library of Medicine).' MedlinePlus.gov also contains helpful health topic pages on mosquito bites and viral infections.